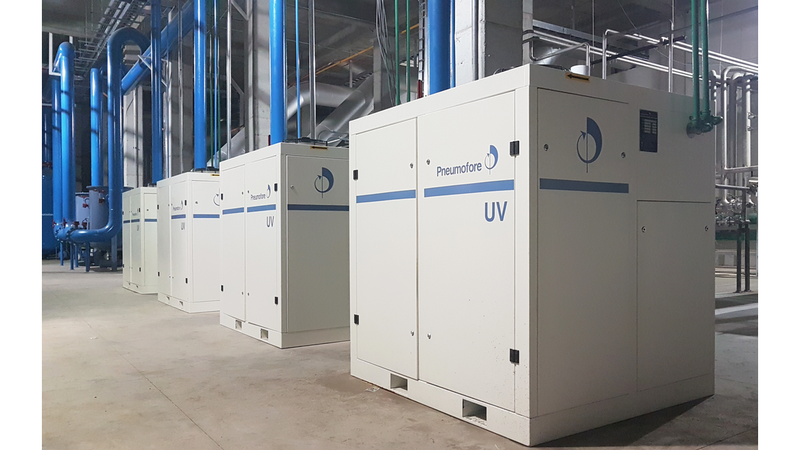 The UV Series ranges in capacity from 250 to 5.400 m³/h (150 - 3.180 cfm) @ 50Hz. Air instead of water cooling, durability and sturdy construction, easy installation and high efficiency: the result is a very low Life Cycle Cost ranking the UV Series to the most affordable long-term vacuum solutions for many industrial applications. Pneumofore also provides a full line of accessories for vacuum systems such as receivers, drainers, filters and pre-filters.